Patrick Yandall, guitarist extraordinaire, surprises us with his 9th international release called Laws of Groovity, now available at Amazon and CDBaby. Born in Bay City, Michigan, he found his luck in San Diego and L.A., where he has established himself as session musician. His new album was recorded at MoBops studios San Diego and was edited and mastered at A.M. studios in L.A. This outstanding musician has performed all instruments of his album himself and with the exception of two songs he has also written and composed all tracks. 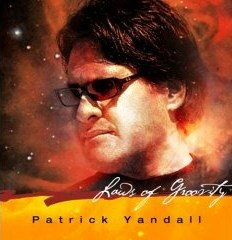 With Land Of Groovity Patrick Yandall marks anew his claim of one of the best guitarists contemporary jazz can offer today.